Interesting article in FCW today about data ownership in the cloud. Good points made, but one thing about it stuck in my craw. Agencies and the public need to be confident that government data is properly secured within the U.S. and can be, if needed, properly destroyed. Wait, why are they using the phrase "and can be, if needed, properly destroyed." Using a public cloud will require that when you finish using a server, you ensure the data is no longer on the server. It's the Disposal phase of the life cycle. 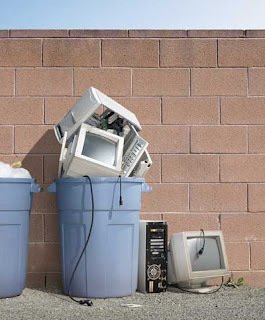 You don't simply turn off old servers and set them on the curb. You ensure the drives are removed, destroyed or wiped clean first, right? The Cloud speeds up the life cycle but doesn't free us from the required steps. We still need to follow it all the way through. Disposal is an important step.